This new G. Harvey painting is breathtaking. 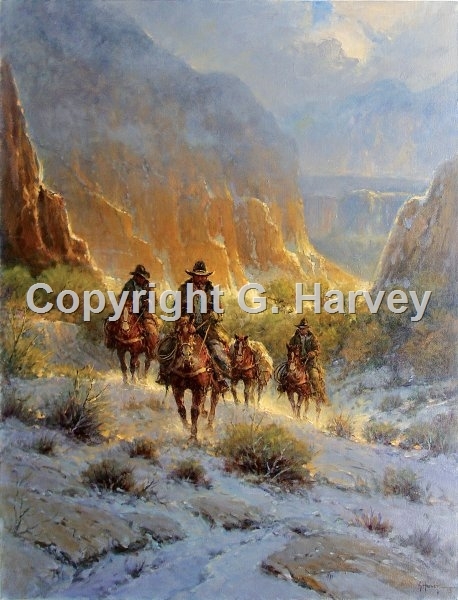 The riders and their pack horses are surrounded by some of the most dramatic landscape to be found in the West. the light virtually glows setting the canyon walls almost afire. And this warmth is contrasted perfectly with the crisp cold of the light snowy covering under foot.